Mungkorn Seafood has been one of the many recommendations that I was given coming to Bangkok, Thailand. Excited to see what they had to offer, I made my way down. 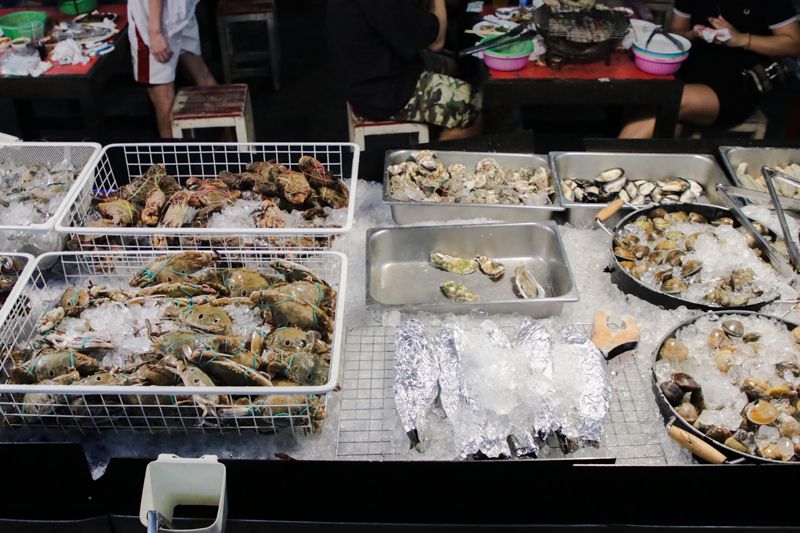 Tucked away in the alleys of Ramkhamhaeng is a bustling seafood buffet available at Mungkorn Seafood. Right off the bat, I was having very high hopes for this place seeing how packed to the brim it was. 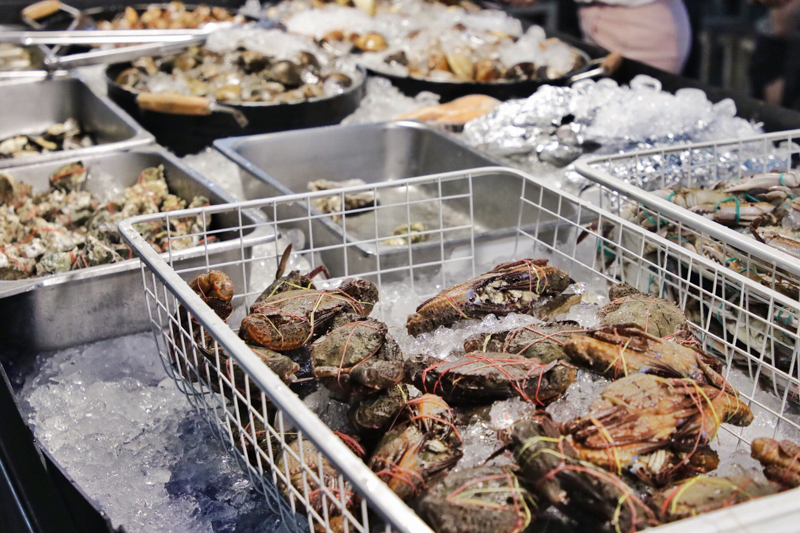 One of the reasons for the large crowd could have been the cheap price tag for unlimited seafood. Costing just around THB499 and having no time restriction is definitely a steal for many of us. That would mean that we could have eaten from when they’re opened at 4pm all the way till 2am if we really wanted to! 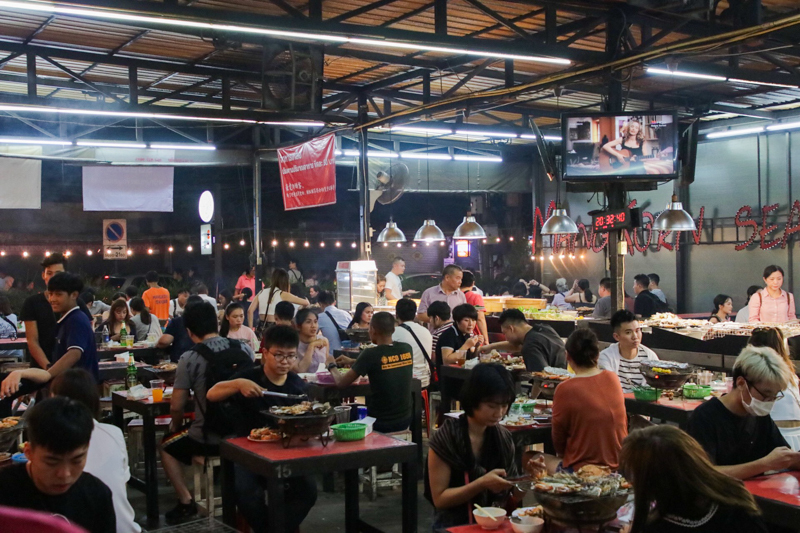 Mungkorn Seafood has a large selection of food items to choose from, from cooked meats to raw seafood to free flow drinks as well as a fresh orange juicer. 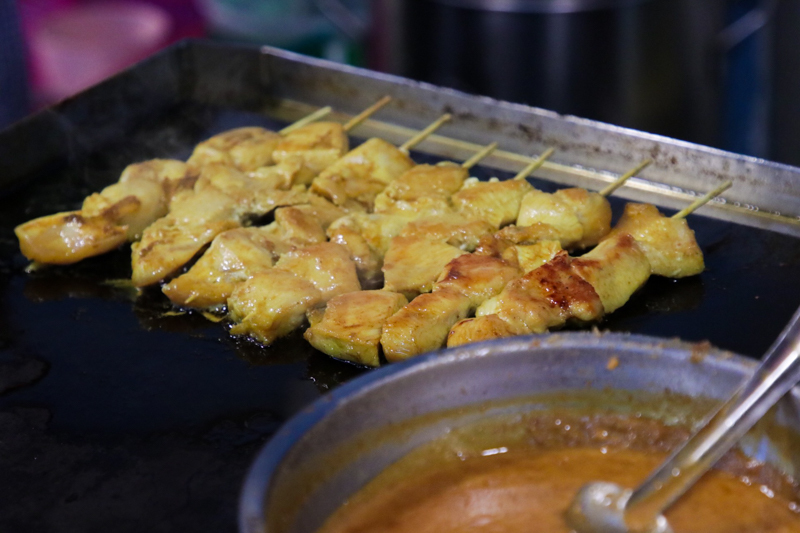 The staff would bring out the hot charcoal that would be used as a source of heat for the grill once we were seated. Unfortunately, my first impression coming into the restaurant was ruined when I went to get a plate for my food. The plates were extremely dirty and the majority of them had stains which I found revolting. At one point there was even a crowd around the plate collection area as they were digging through the plates to find a clean one. 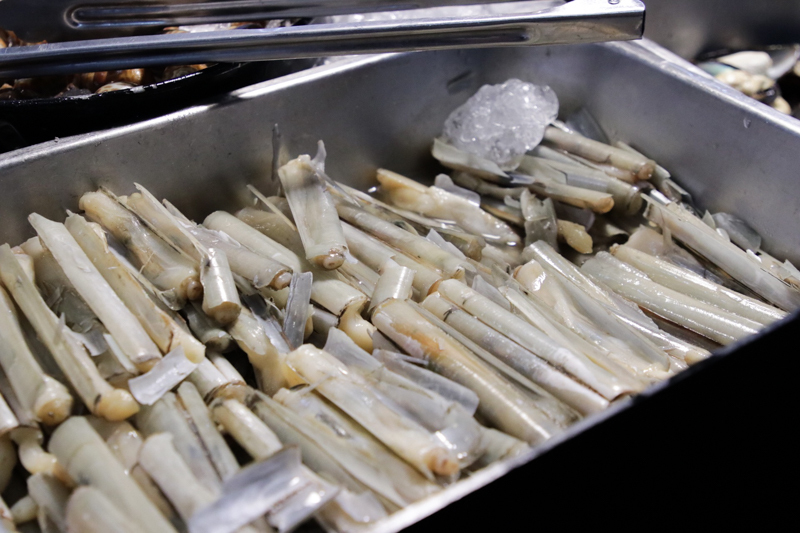 They had live prawns in large styrofoam boxes and I would have to catch them to be put on the grill. 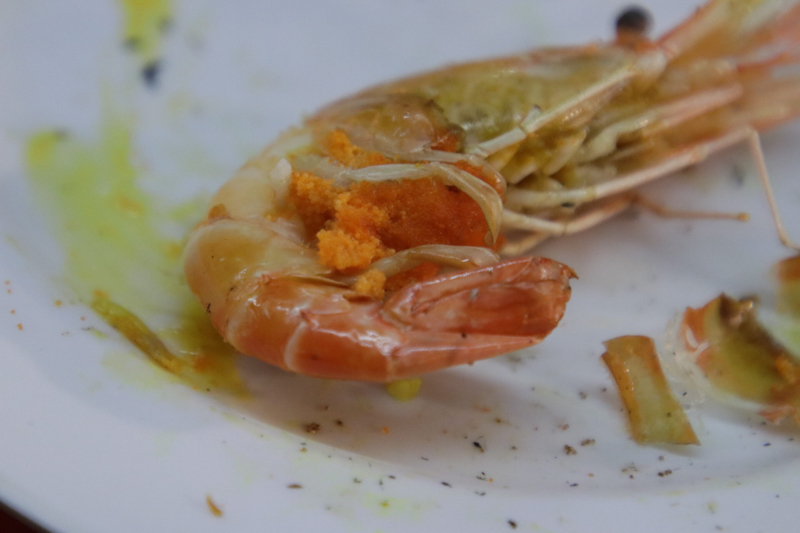 I really enjoyed this as it was not only entertaining but the prawns just could not get any fresher than this. 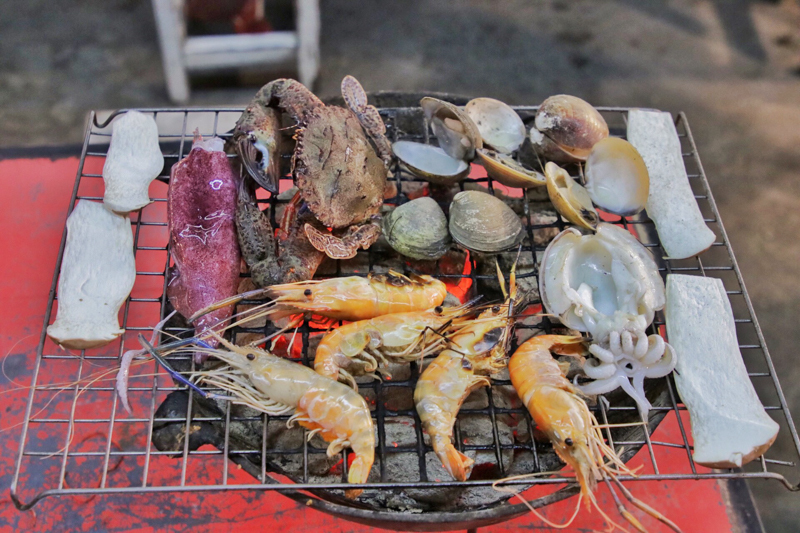 Placed on a charcoal grill, the charcoal gave the prawns an additional smokiness and depth of flavour. 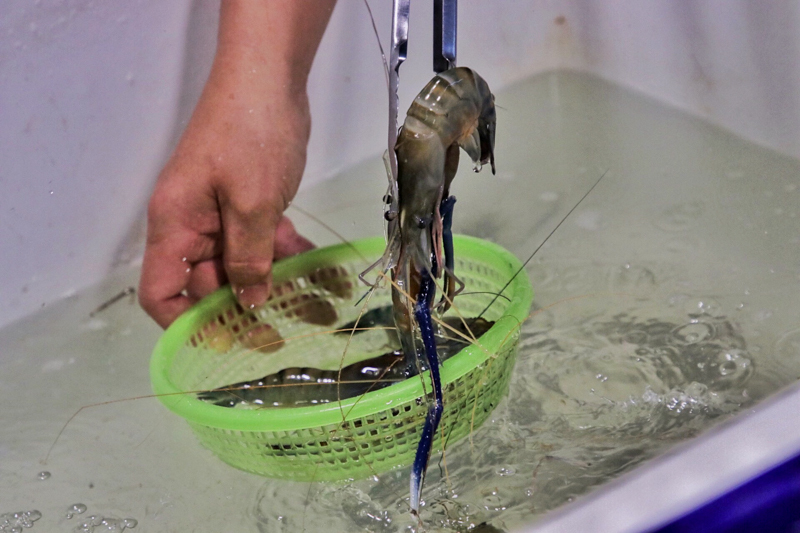 However, I felt that the size of the prawns was quite small as compared to other seafood buffet places in Bangkok. 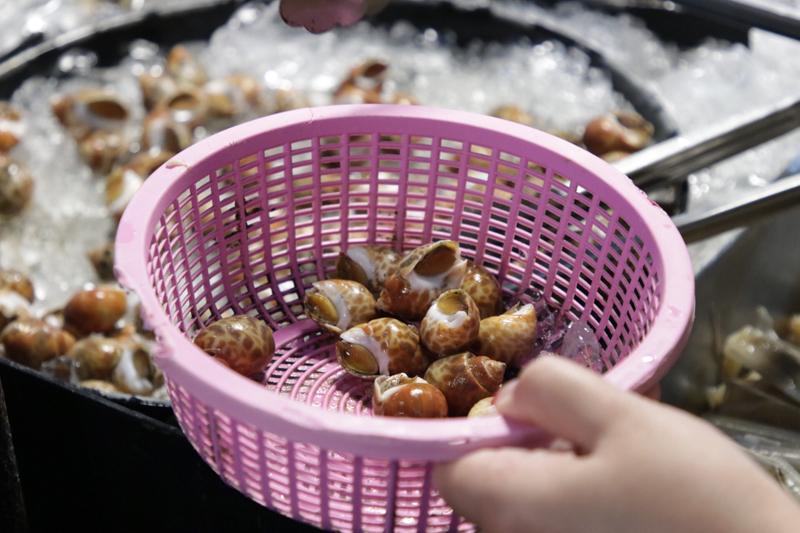 On top of that, I felt that the rest of the seafood such as the clams and snails were not as fresh as I hoped it would be. The bamboo clams I had tasted very bitter when I bit into them and also had a very fishy smell. 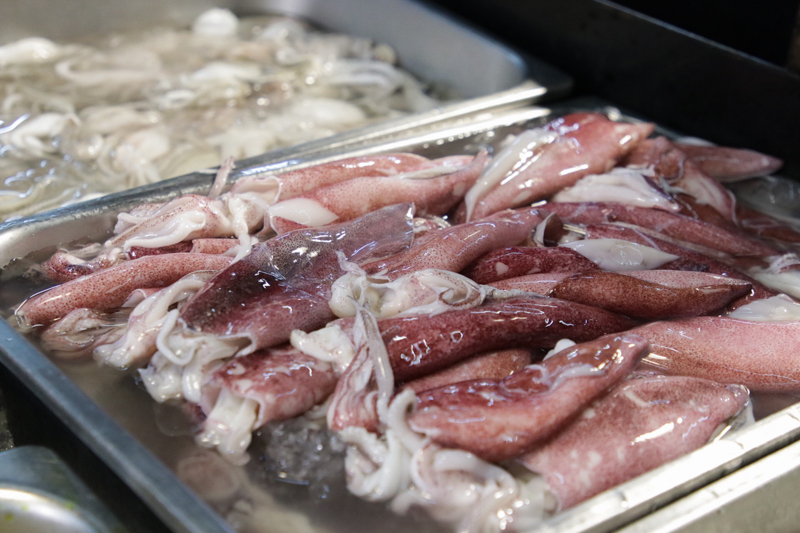 Other kinds of seafood, such as the squids, were soaked in murky waters that did not look very appealing. 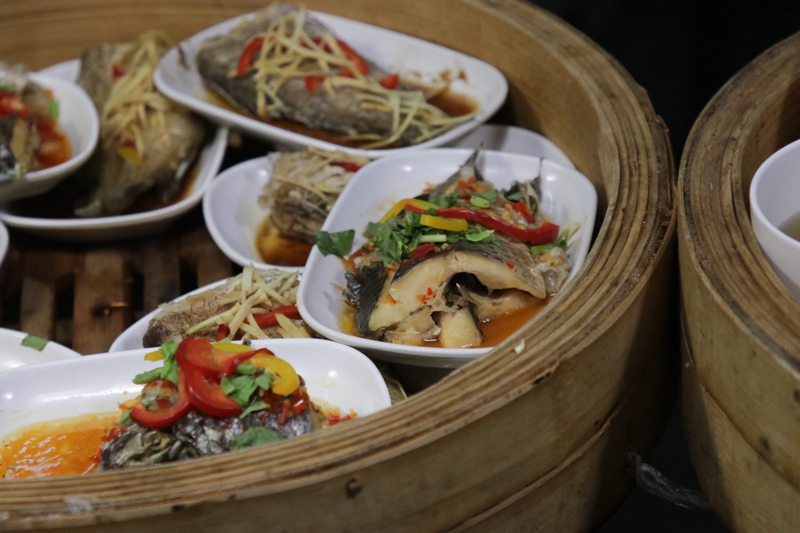 We went for the Steamed Fish In Soya Sauce, one of the many cooked dishes we went for while waiting for the other seafood items to finish cooking. To our horror, the two plates of steamed fish we took were completely undercooked and were still translucent in the middle. This was similar to the roasted chicken that we had as well. 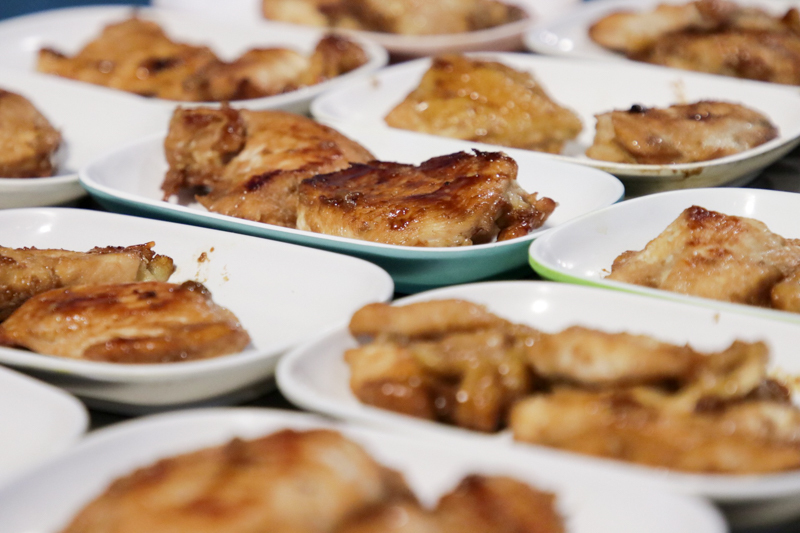 The chicken was coated in a honey glaze sauce but when we cut into the chicken, it was still pink in the centre. We found it repulsive that the cooked food items were all done in a hurry with no effort being put into them. To get a break from all the seafood, I recommend going for the Pineapple Rice. They were served in a pineapple with the rice being very fluffy and airy with each grain of rice separated from one another. As I dug further into the rice, I found bits of Chinese sausage inside. Not only does it give the rice some saltiness but they also provided smokiness to the rice. 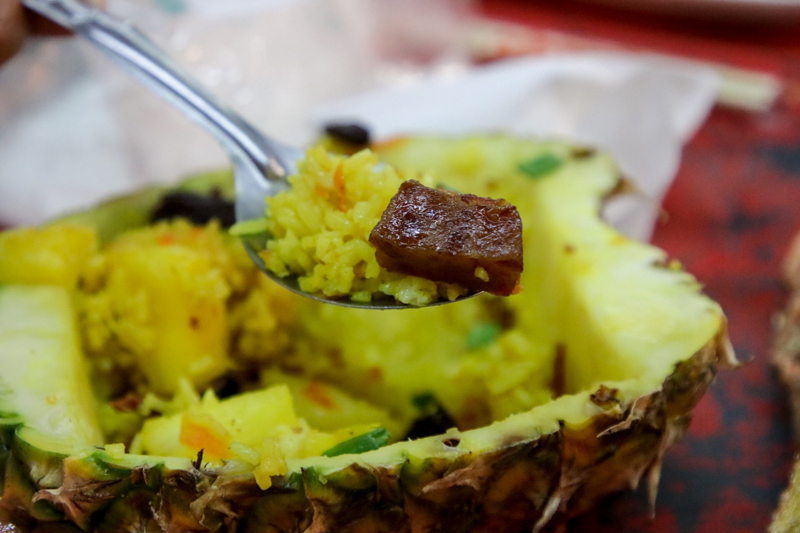 The pineapple chunks in the rice add a natural sweetness. 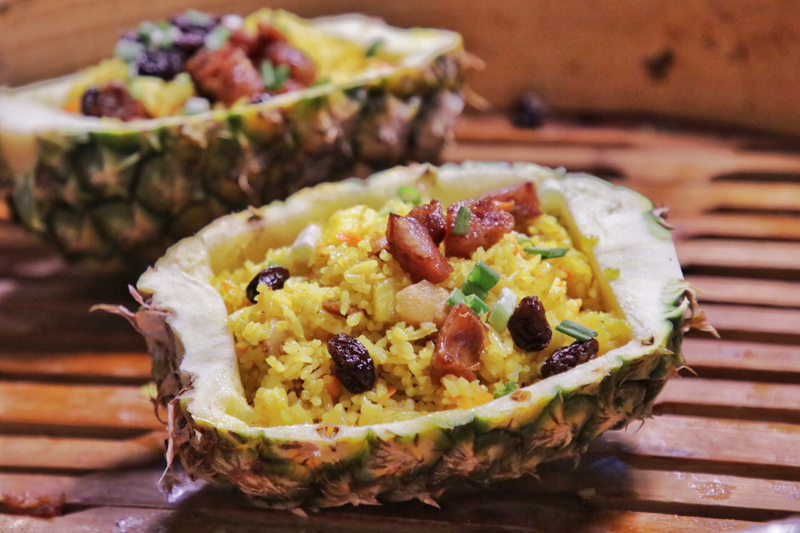 I really enjoyed the pineapple rice for the multiple layers of flavours in a very simple dish. 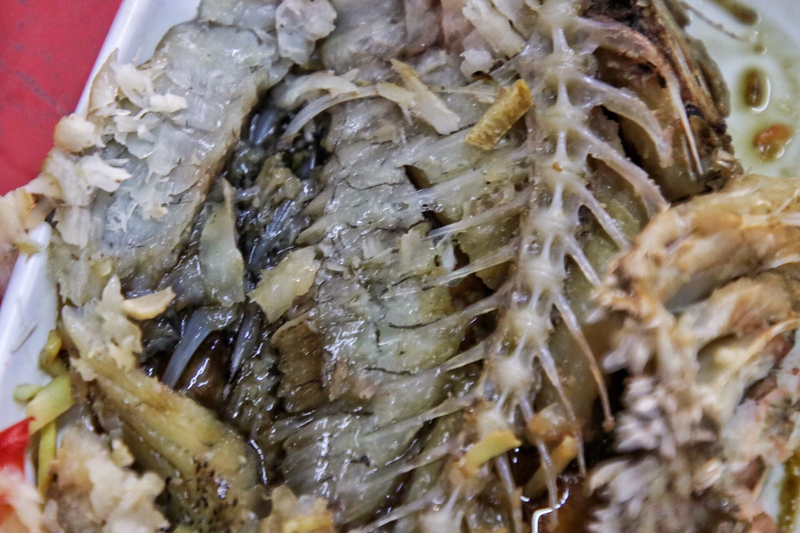 All in all, I felt that Mungkorn Seafood was extremely disappointing and underwhelming. I felt that the entire place was lacking in hygiene standards. 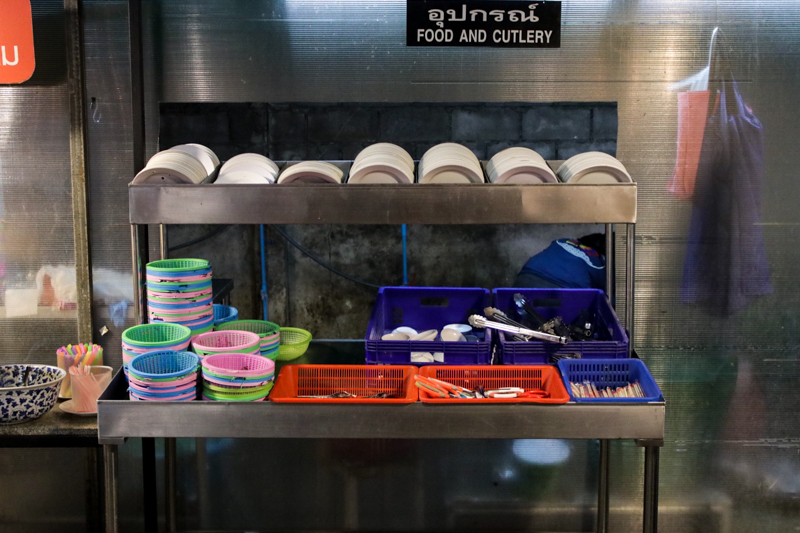 The plates were all stained and the many different plates of seafood were not fresh. 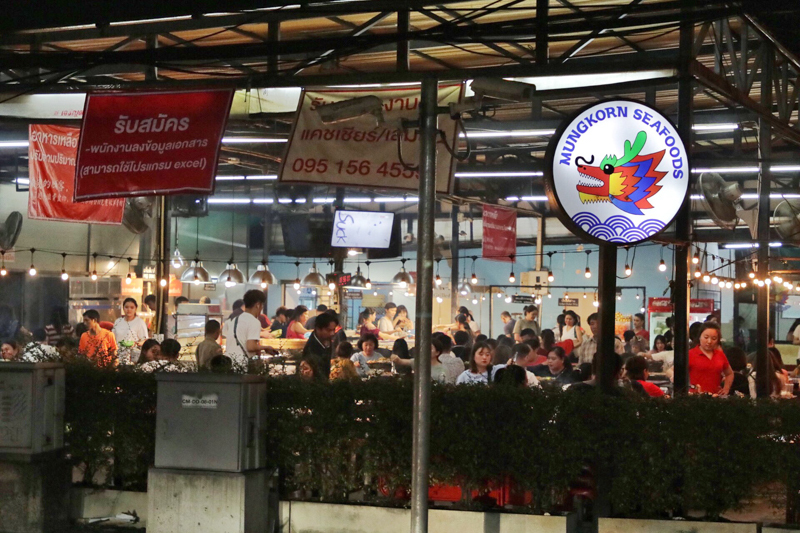 Mungkorn might have also been unable to keep up with their service to serve the large crowds. 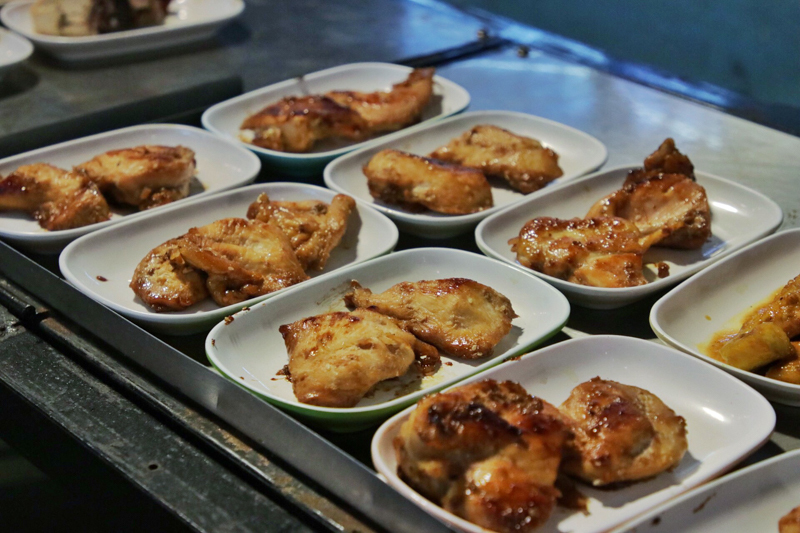 This was very apparent when we took many of the cooked dishes that turned out raw. 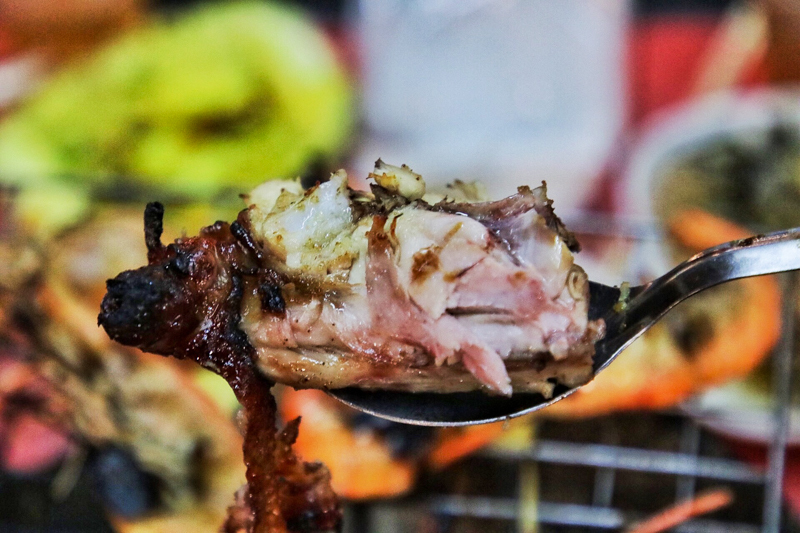 The lack of hygiene standards made me feel really uncomfortable dining there as I felt extremely susceptible to food poisoning. Overall I would definitely not recommend going to Mungkorn despite the very cheap price tag for no time restrictions on unlimited seafood. I would not take the risk of getting any food-borne diseases and especially so when I’m overseas.